Opt-In is a collection of courses and events aimed at helping rural dwellers find the means and skills necessary to increase their income generating	options. Gain access to hundreds of courses from a wide variety of learning institutions across Ireland from a single website. Set reminders about courses of interest. The reminders can be sent to your mobile phone through text messages and social media notifications. 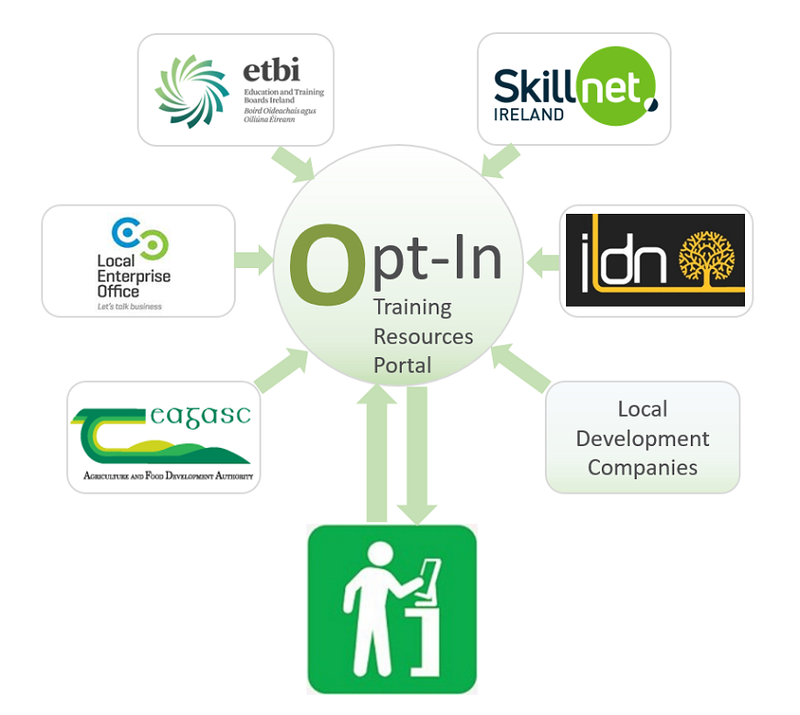 The Opt-in database contains courses and training events from all over Ireland. You can narrow down the list to show only those events of interest in your local area. Register with Opt-in to set reminders about upcoming courses and events. Choose how and when you receive notifications via your favorite social media channels. Search and browse for publications about your topic of interest. The Opt-In portal is linked to relevant publications from a variety of sources.